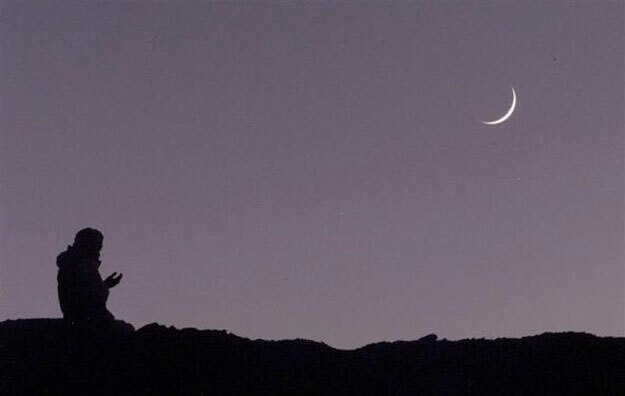 After surviving a month of fasting, swallowing tables in one sitting, and making sure they are not the target of their tailor’s ill-fated blunders, every Pakistani looks forward to celebrating Eid that is peaking right around the corner waiting for the decision regarding the sighting of the moon to be announced. 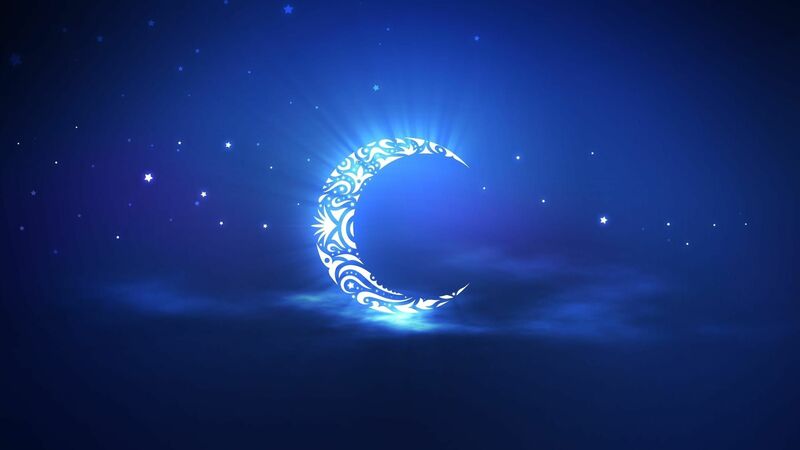 Each year this activity is shrouded with controversy and debate in our country, since Pakistan has been celebrating Eid on multiple days in the recent years due to the inability of the population to rule out false or mistaken testimonies of moon-sighting. What is the criteria for declaring the beginning of the new Islamic month? A large majority of Muslim scholars agree that viewing the moon with the naked eye should mark the start of a month for the lunar calendar. Another segment of scholars solely place their trust in calculations and astronomy, feeling there is no need to actually see the moon. It then comes down to our central authority to make this decision. No matter what view is adopted, Science can help us out a great deal being the unbiased, generously helpful tool it is. First, let’s go over what happens when a new moon is appears in the sky. During the period when the moon is aligned exactly between the sun and the Earth, no light is reflected off the moon for us to see it. This is called the ‘conjunction’ and it marks the birth of a new moon. As the moon continues to orbit the Earth, the angle between the moon and the sun (called the elongation) increases as measured by us on Earth. Doing its business, the moon appears as a crescent in the sky as the elongation increases. However, it can only be visible to the naked eye, reflecting light from the sun, when the elongation is greater than 10.5 degrees. This may occur between 17 to 24 hours after conjunction. This is where Science lends us a hand. Experts have developed models and simulations for mapping the position and the appearance of the moon at a certain time which are accurate to a great degree. Even if we don’t solely depend on astronomic calculations to resolve the issue of multiple Eids, we can definitely use them to verify testimonies of the sighting of the moon. Since it is magically possible in this day and age to even have the simulated images of the moon beforehand, false testimonies can be ruled out by comparing them with the expected time and appearance of the moon. Moreover, since the visibility of the moon can be hindered by adverse atmospheric conditions or weather, a person may be mistaken about what they saw. With help from our scientific experts, we can rectify those mistakes. 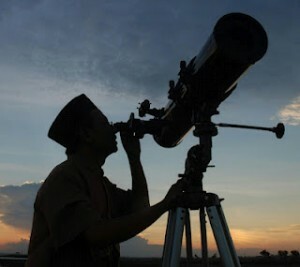 It has often been the case that our central authority responsible for the sighting of the moon is accused of lying and such when a ‘fat’ crescent is seen the next night, even though the committee relies on Science to a large extent in making its decisions. Most people are unaware of the fact that even if the crescent appears to be a tad on the heavy side, it is very much possible that is still the first sighting of the month. (All moons are beautiful, say no to moon-shaming.) This is because if the moon was aged less than 17 hours on a day, it set without being visible to the naked eye. Hence, we would see a wider crescent the next night because another 24 hours had passed before the unaided eye could claim to see it. It appears that whatever stance or belief we choose, calculations and models from astronomy can help us make an accurate decision anyway, and thereby unite all of Pakistan into celebrating one Eid. I sincerely hope we can rule out false testimonies this year and follow one central decision. Because Science is the hero we need, and the one we deserve.